There’s no question how portable toilets have provided utmost practicality and convenience to people across different sectors. 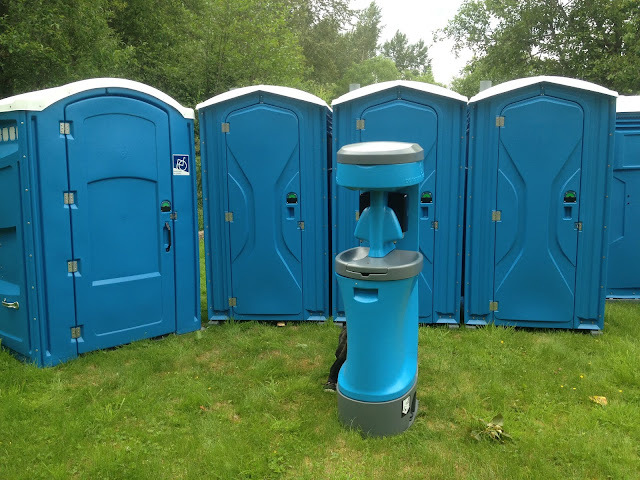 From event organizers, concert attendees to construction workers, the services of a porta potties rental company are so significant they’ve become a staple in different outdoor activities and occasions. But like any other commodity, porta potties aren’t perfect. Depending on some circumstances, these traditional toilet alternatives can tip over and cause you to spend on resolving the damage that could have been prevented in the first place. Clever logistic planning is required to make sure that portable toilets can do what they're designed to do without any issues. Here are some tips to help you prevent porta potties from tipping over. One of the main culprits why porta potties tip over is uneven ground. If a portable toilet is placed over a bump, it’s most likely to tumble down to one side. Also, make sure that the ground is dry -- keep in mind that a damp ground is unstable and can easily shift. In a huge open area where winds can freely blow, tip-overs are also a large possibility. It is advisable to place them in areas near a garage or a fence so your porta potties rental have an added support. As mentioned above, a sudden gust of the wind can cause a portable toilet to tumble down. To prevent this mishap from occurring, secure them in a place where there’s a sturdy structure to act as a support. You can lean them against a building or a wall to hinder them from tipping over. You can also opt to strap them to a tree or a fence. If there’s a lack of sturdy structures in sight, you can also consider leaning porta potties against each other. Apart from keeping it tip over-safe, this positioning will also make these toilets more convenient to use and easier to monitor. Typically, porta potties rental companies equip their toilets with spikes. These auxiliary tools help secure porta potties to the ground. Though they come in different styles, they are commonly mounted through the holes found in the exterior corners of the portable toilet. They will slide down to the ground after getting hit by a hammer. If you only use a stand-alone porta potty, you can hold it in place using stakes. Popular among porta potty consumers, stakes look like gigantic staples that can fit through the skids located at each side of the toilet. This is also a great security option among consumers who have no other choice but to place porta potties in an overly open area. In many instances, porta potties are rented out for several succeeding days. Make sure these toilets are in check even during after-hours to prevent people from vandalizing them or accidentally tipping them over. For your porta potties rental needs, contact Smith's Sanitary Septic Service today. Whether you are organizing an event, hosting a big outdoor get-together, or perhaps need one on a construction site, we got you covered.